The perfect all-purpose cloth and our best seller! 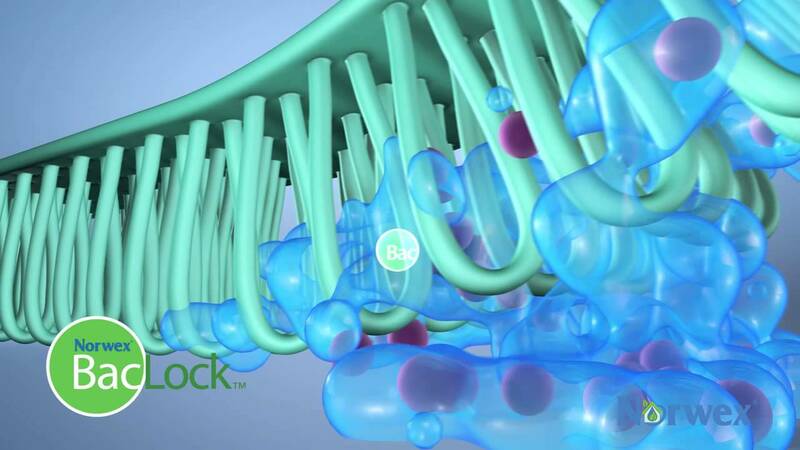 Superior-quality microfibre combines with our unique BacLock®* antibacterial agent to create a multipurpose cloth that can be used wet or dry to clean everything. The super-versatile EnviroCloth™ is the perfect replacement for chemical-laden, all-purpose cleaners, and eliminates the need for wasteful paper towels, so it’s also more sustainable for the environment! Highly effective and easy to care for; between launderings, simply rinse, wring out and hang to dry. Available in five colours, allowing you to colour-code for different purposes or rooms. Getting all the surfaces in your home as clean as possible, as quickly as possible, can be challenging. In addition, many of today’s popular cleaners contain harmful chemicals that can make your family sick. And using paper towels to clean adds to the problem of overloaded landfills and deforestation. When using on easily scratched surfaces such as brushed stainless steel, first test Norwex Microfibre on an inconspicuous spot. The average household spends $600 – $800 a year on cleaning products and supplies. 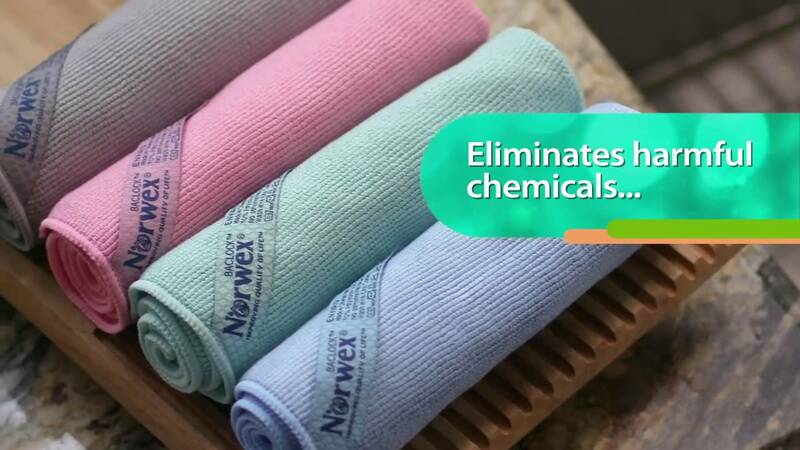 Norwex Microfibre can help significantly reduce the use of cleaning products and supplies. 3,000 tons of paper towel waste are created every single day—that accounts for 51,000 trees and 227 million litres of water, per day! Most paper towels are bleached. Drying your hands with them can leave your skin rough and cracked. Traditional cotton cloths push around particles; spreading dirt, grime, and moisture into the surface crevices, leaving it moist and unclean. 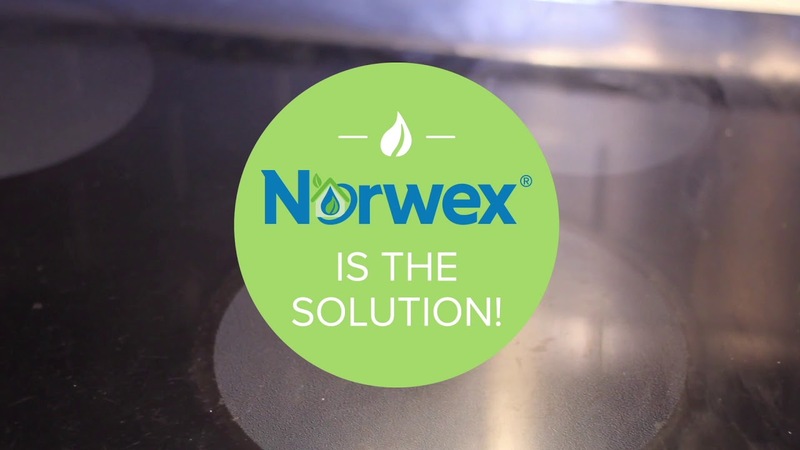 Norwex Microfibre lifts and collects even the smallest particles of dirt, grease, and moisture, leaving surfaces free from everything. Norwex Microfibre self-purifies. Used wet, the micro silver in the cloth goes to work with self-purification properties.